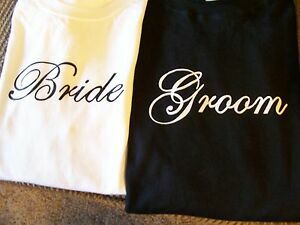 Details about BRIDE AND GROOM WEDDING SHIRTS! GREAT GIFT! GREAT FOR HONEYMOON! FAST SHIPPING!